The Democrat shared the scribbled message to her Twitter page, telling her followers the 'fear mongering and blantant (sic) lies' needs to stop. The last line references a Jewish song that translates to 'the people of Israel live'. 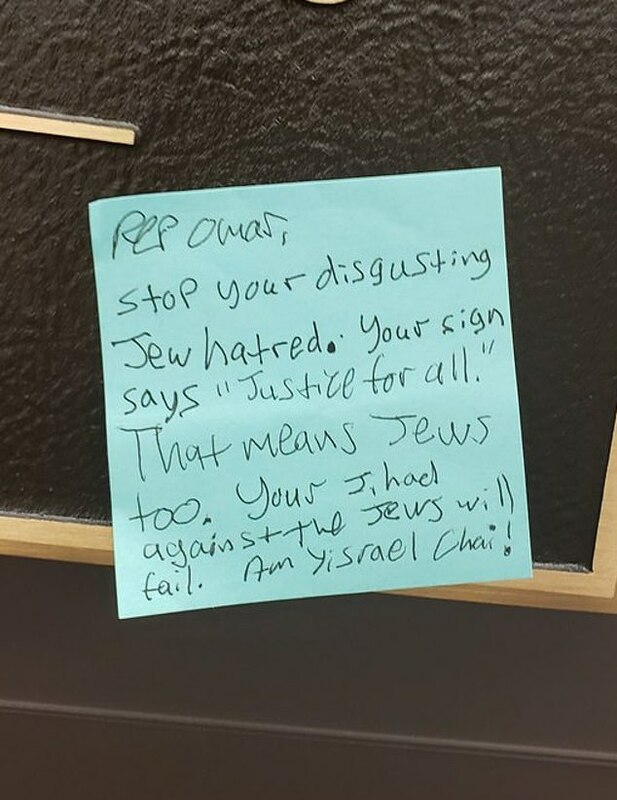 Tlaib, who is Muslim, wrote: 'This is the hateful rhetoric & bullying on my door today. Stop the fear mongering & blantant (sic) lies. Come here w/ the value that all beings deserve human rights, including Palestinians. 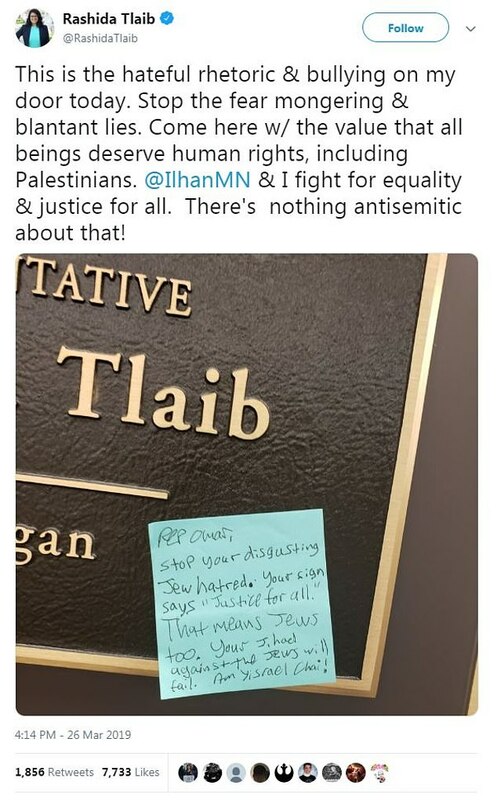 Omar, who is one of the first Muslim women in Congress, provoked outrage last month when she suggested that supporters of Israel were urging lawmakers to have 'allegiance to a foreign country'. 'It's all about the Benjamins baby,' read her controversial tweet, which referenced $100 bills. Omar later apologized. Looks as though note left by one of those children Parents bribed the school for acceptance. "That means Jews TOO? Or possibly from some liberal aid with a GED. I used to have sympathy for the Palestinians in Gaza and Israel. But no longer, thanks to Rashida Tlaib. She is hateful.